In 2017 we will once again be following the format of 2 teams of 12 runners and we are hoping to attract some of the country’s foremost athletes. The pledge system will once again be used with the only difference being that the minimum pledge multiplication factor will be set at 10 and the maximum factor limited to 45. So if a runner is unable to complete the RPC for any reason then all their pledges will be multiplied by a default of 10 and should they run faster than 45 minutes under their goal time then their pledges will be multiplied by a maximum of 45 and no more. As an added incentive for those pledging we will be asking each of the 24 participants to come up with a lucky draw prize. This prize will be drawn by the runner after the event and anybody who has pledged on that particular runner will stand a chance to win their prize. The draw will be weighted in favour of the amount pledged, so the more you pledge the higher the chance you have of winning the prize. The benchmark goal times were set in 2015. Johardt van Heerden and AJ Calitz managed an FKT for the Rhino of 2 hrs 45 min and Tracy Zunckel and Su Don-Wauchope pulled off a FKT of 3 hrs 25 min. This year the goal times will be set at 3 hrs 30 min for the men and 4 hrs for the ladies. Each pledge that every participant receives will be multiplied by the number of minutes they are under their respective goal time. So for instance, if Johardt runs a 2 hrs 45 min then all his pledges would be multiplied by 45 (minutes). Each of the Elite Runners and Influential People will have their profile uploaded to the website and their pledges will be visible on their own Pledge page. 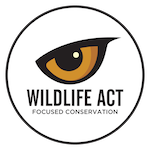 The Endangered Wildlife Trust (EWT) is the official beneficiary of the event and all funds raised will be divided on a 50/50 basis between their EWT Sniffer Dog Programme and the EWT Bearded Vulture Captive Breeding Programme. The reason that the funds will be divided in this manner is that the Rhino Peak itself is home to some of the last Bearded Vultures in the area and the species is now critically endangered. It is believed that the concept of two threatened species working together to save each other will capture the imagination. 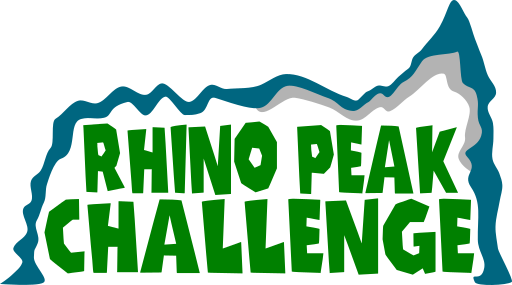 For more information and to pledge your support please visit www.rhinopeakchallenge.co.za.